Dr. Bethany graduated from Washington State University’s College of Veterinary Medicine in 2003. After graduation she did a small animal medicine/surgery internship at the University of Illinois. 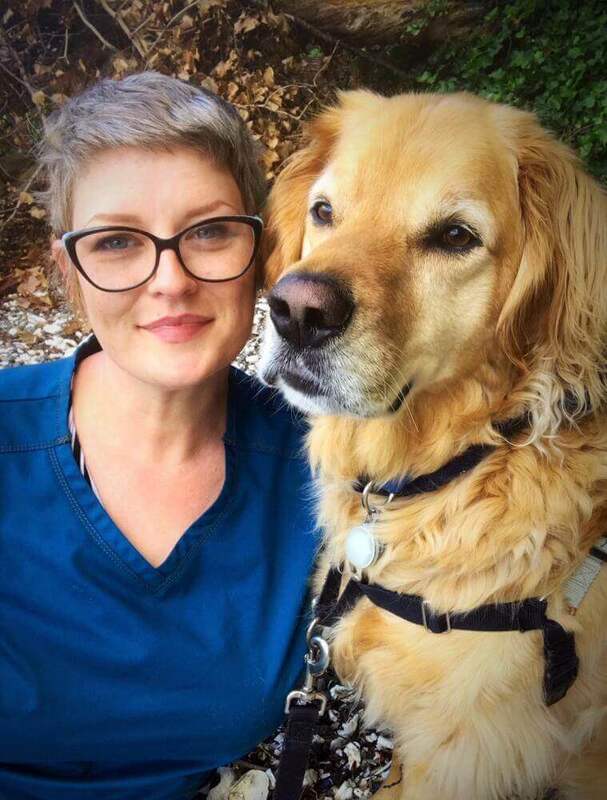 She and her husband moved back to their home state of Washington in 2004 and Dr. Bethany worked for several years at VCA Central Kitsap Animal Hospital in Poulsbo. There she did a combination of emergency medicine and general practice. Her passions include internal medicine and critical care. She stayed home for about two years after the births of Violet and Sawyer. Weston was born shortly after purchasing Poulsbo Animal Clinic (and a couple of months after this photo was taken). Dr. Bethany is thrilled to be in private practice with her husband, and will be seeing patients once weekly. As the practice (and the kids) grow, she will be seen more at the clinic. She enjoys horseback riding and sings in the Bainbridge Chorale. 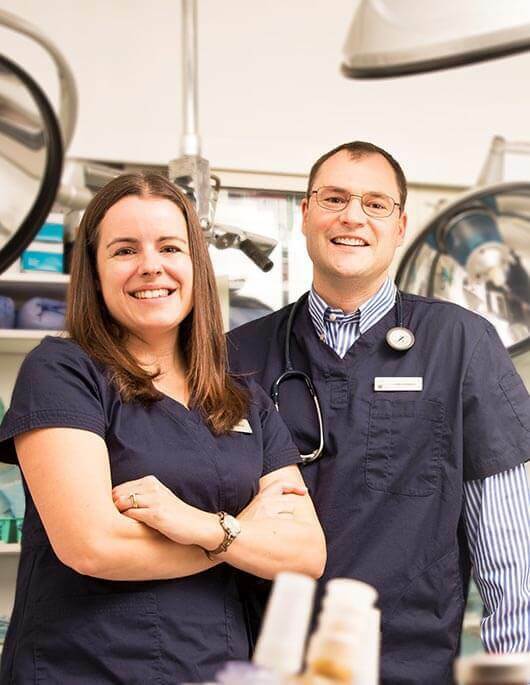 Dr. Craig Adams graduated from Washington State University’s College of Veterinary Medicine in 2003. Prior to veterinary school, he received a Master of Science degree from the University of Washington, School of Fisheries where he studied salmonid ecology. He then lived in Fairbanks, Alaska where he researched muskox and caribou behavior. While in Alaska, he met several wildlife veterinarians who encouraged him to pursue a doctorate in veterinary medicine. During veterinary school, he discovered a deep interest in companion animal medicine and surgery. He enjoys all aspects of general practice but has a special interest in surgery, both soft tissue and orthopedic, and dentistry. He is an active member of the Poulsbo North Kitsap Rotary Club and enjoys most outdoor activities and playing with his kids! Dr. Amy McGee graduated from Western University of Health Sciences in California in 2008. After returning to her home state of Massachusetts, she practiced as a small animal veterinarian near Amherst and later near Boston. In the summer of 2014 she moved with her family to Washington and currently resides on Bainbridge Island with her husband and two children. Dr. Amy has special interests in dermatology and dentistry. She is also practiced in the medical care of pocket pets. In her free time, Dr. Amy enjoys movies, travel, and outdoor time with family & friends. At work, she enjoys forming long-term bonds with pets and clients. She looks forward to meeting you. Dr. Nicolle Perisho is a proud native of Kitsap County as she grew up in the area and graduated from Bainbridge High School in 2004. 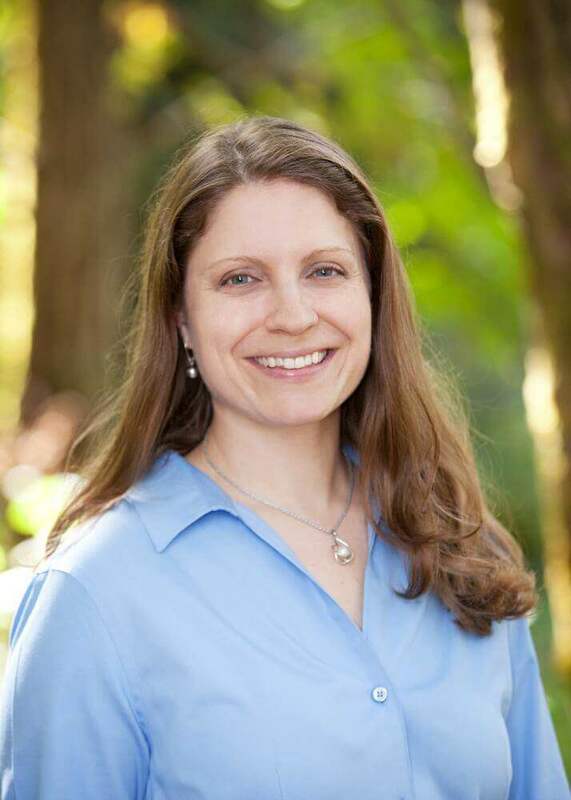 Dr. Perisho received her Doctor of Veterinary Medicine from Washington State University in 2017. Dr. Perisho’s veterinary interests include emergency medicine, behavior, surgery, shelter work, and dermatology. In her free time, Dr. Perisho loves hiking with her dogs, knitting and other crafts, practicing yoga, reading, spending time with family and friends, paddle boarding, and traveling. She has two dogs, an 8-year old shepherd and a 2-year old 3-legged small mix breed dog. Her favorite part of the day is getting doggie kisses from them (and any dogs)! Stacy has been working at PAC since December of 2015 but has many years of experience in veterinary medicine. Since she was a child she has had pets of all sorts, from dogs and cats to horses, ducks, chickens and frogs. Her first job as a child was in a pet store and she has never worked in a job that didn’t involve animals. She obtained a Bachelor’s Degree in Animal Science from Southern Illinois University. She worked with show horses and then race horses all over the country and even in Dubai. 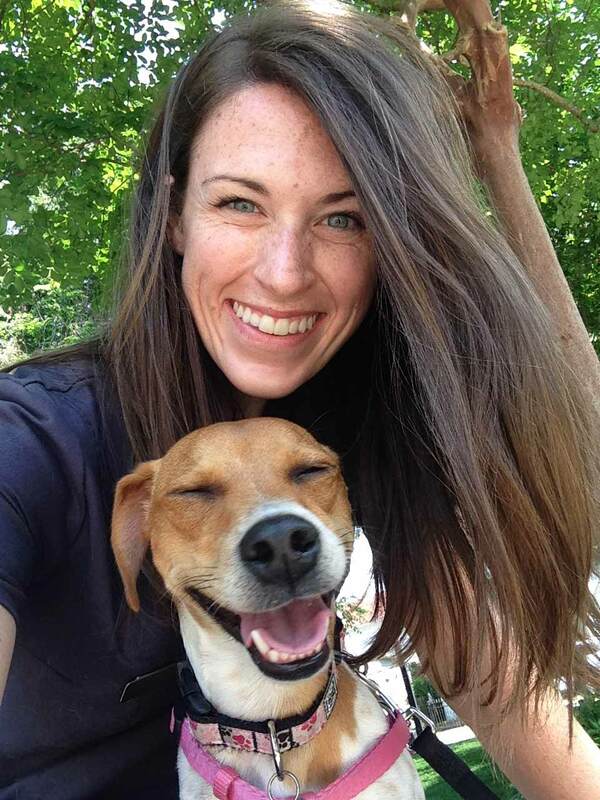 Through working with racetrack veterinarians she finally found her way to small animal veterinary medicine when she took a job as a veterinary assistant in the ICU at North Shore Animal League in NY, the largest no-kill animal shelter in the United States. From there she has worked as a Licensed Veterinary Technician in the animal ER and general practice. Originally from Chicago, she moved to WA in 2014 and made her way to Poulsbo Animal Clinic. She has two horses named Rocky and Dakota, two cats named Pepe and Kitty and three dogs named Sawyer, Gunner and Macy. She spends her spare time reading and exploring the beautiful Pacific Northwest with her boyfriend. Some of her favorite parts of life in Washington are the smell of the ocean and the beautiful mountain views. Kelsey joined PAC May of 2016. She started working in veterinary setting in 2010 while living in Colorado. She had has a love for animals throughout her childhood. While growing up she had all creatures great and small, from Gerbils to Guinea pigs, cockatiels, chickens, dogs, cats, goats and horses. Kelsey lives in Silverdale with her husband Robert who is active duty Navy and their 2 dogs Mollie a 6 year old Basset Hound and Carlie a 4 year old Jack Russell. In her personal time she loves to explore the NW with her husband and dogs, playing music, reading, cooking and is Disney fanatic. 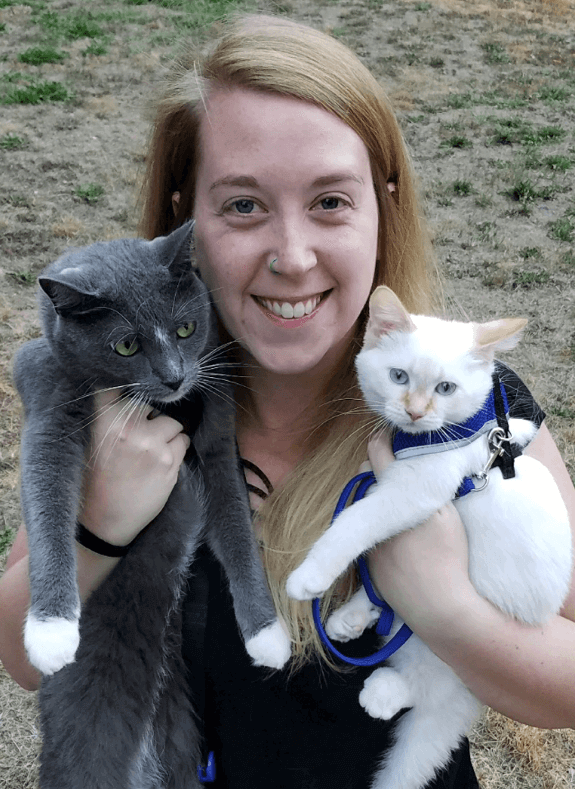 Emily started working at Poulsbo Animal Clinic in December 2016. 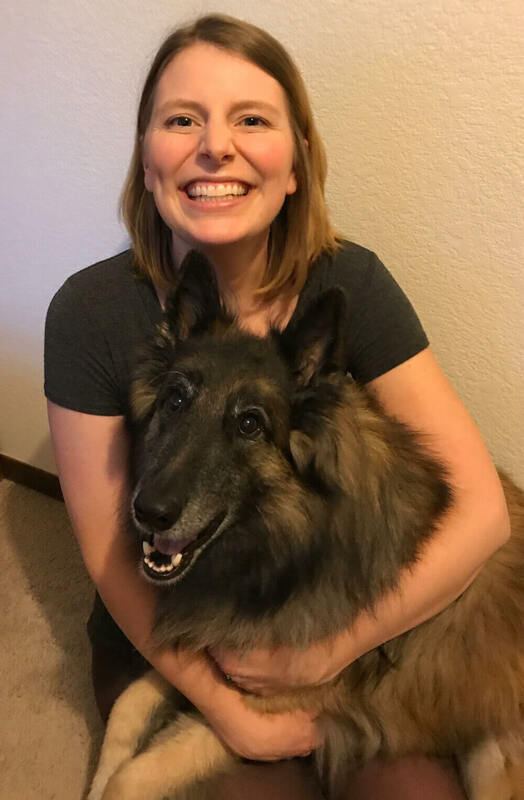 Emily always knew she wanted to work with animals since she was a little kid, and decided to go to Pima Medical Institute in 2010 to achieve that goal. Emily became a Licensed Veterinary Technician in 2012 when she passed her national and state exams. Emergency medicine has always been an interest for Emily. She loves the fast pace of it, plus all the new and interesting cases that you see. When not at work Emily enjoys being outside hiking, and kayaking. Right now Emily has one cat named Opie, but hopefully in the near future she will have her Great Dane puppy. I have always had a soft spot for animals. I have always found comfort and happiness just being around them. So to be able to help them on a daily basis brings me great joy. I feel very lucky to be here. Our family to put it in simple words, they are great. We make an awesome team. It all started for me as a child being fond of animals and then grew into studying them in my late teen years. Eventually I graduated from PIMA (in 2007) and became a certified veterinary assistant. I worked and lived in Seattle from 2007 to 2013. After having my son, Ari in October of 2013 I made the choice to move back to my home town in Port Orchard. Along my journey I did briefly work at Inactive ships in Bremerton as a laborer and then, an administrative assistant. It helped me transition into working-motherhood. I met a lot of wonderful people and learned many things. However, my heart belongs to veterinary medicine. I missed it intensely. I started at PAC in October of 2017 and I couldn’t be more grateful. My goal is to become licensed as a veterinary technician. Once licensed I would love to specialize in something. Maybe dentistry, maybe anesthesia I have not decided yet. In my spare time I love to be with my family, friends and fur children. I love the outdoors; hiking, horseback riding, swimming or just being outside in general. Everything and anything. I have 1 dog. She is a 6ish year old Chihuahua mix named Mini. My name is Megan, and I joined the PAC family in November of 2016. I’ve been working with animals since my first job as a stable hand when I was 15, and at 16 I started my first job in a veterinary office working as a kennel assistant. I fell in love with the work, the people, and, of course, our furry patients, and have been working as a veterinary assistant ever since! My husband is currently in the Navy, and we are restationed every few years, but once we’ve settled I would love to go back to school and earn my license. When I’m not at the office, I love anything that involves the outdoors – hiking, camping, snowboarding, or just exploring the sites of Seattle. A day without cooking or sitting down with a good book is a wasted day in my book, and I love working with my hands and stumbling upon my next craft project. At the moment we do not have children, but our Jack Russell mix, Stella, is more than enough for us! She can outlast both my husband and I on the longest hikes, and she thinks all squirrels and cats she meets on our outings are her instant best friends. We adopted her exactly two weeks after tying the knot, and our family wouldn’t be complete without her. 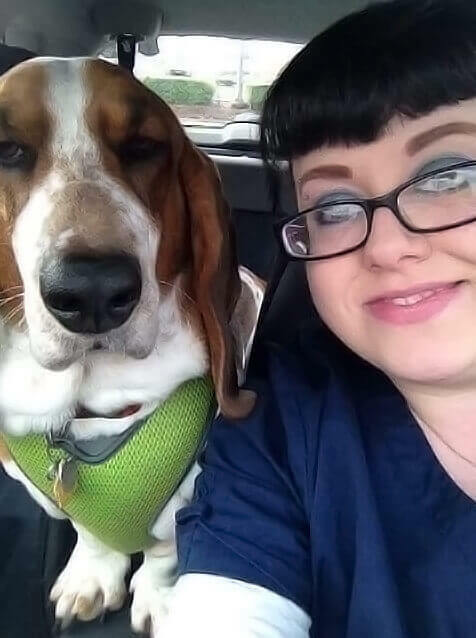 Maechelle joined the Poulsbo Animal Clinic family as a Veterinary Assistant in September 2014. She is a local girl who grew up as a part of a large farm / rodeo family in Bremerton. Exposure to a wide variety of animals, from Guinea pigs and Hamsters to horses and other livestock, fostered a passion for veterinary medicine at very young age. She shadowed an equine veterinarian through high school before landing her first job as a kennel assistant in 2007. From there she quickly moved on to reception, client care, and finally veterinary assistant. She would like eventually like to pursue a license as a veterinary technician. Maechelle started riding horses at 6 months old and started competing at 7; she enjoys both performance and rodeo events. She was a member of Kitsap County’s equine 4-H program for 16 years and competed on the Washington State team from 2001-2005. During those years she finished in the top 5 twelve times. She still loves to volunteer and help out as much as possible. When not at work she can most often be found spending time with her Paint gelding Specs, who at 31 still likes to go for short rides. 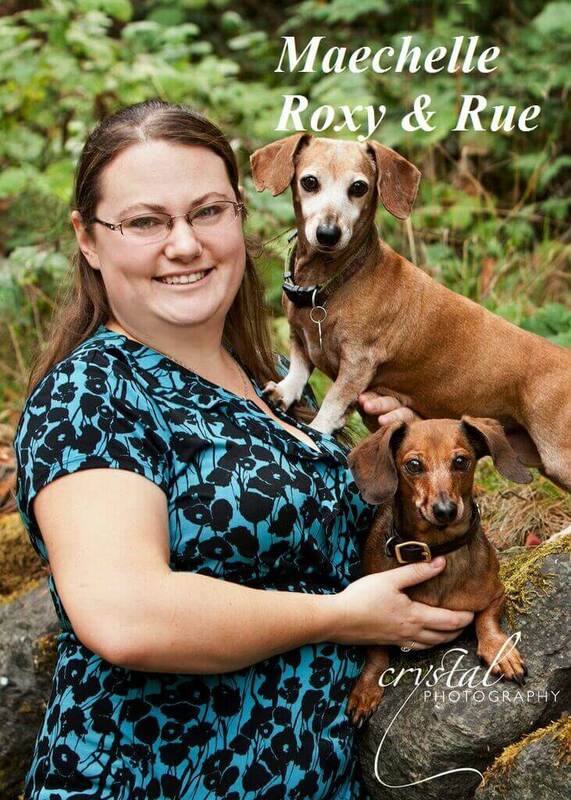 She loves the beauty and diversity of the PNW and her weekends are usually spent hiking and exploring with her 11 year Dachshund Rue (who is her constant companion) and her 2 year old German Shepherd Sasha. Jenny moved to the PNW in 2010 after spending 8 years in Alaska and originally hailing from Austin, Tx. Jenny has always had strong bonds with her animals and currently resides with her sassy male chartreaux cat, Oliver ~her spazzy little girl cat, Roxy ~a lovable dumpling of a tortoise, Milo ~and shares in care of Watson, her golden retriever best friend ~ and Mobley, a snoring floppy ragdoll mix kitty. Jenny studied Painting & Drawing at the University of North Texas and went on to have success exhibiting her artwork, much of it themed in animal rights and awareness, in galleries across the country. 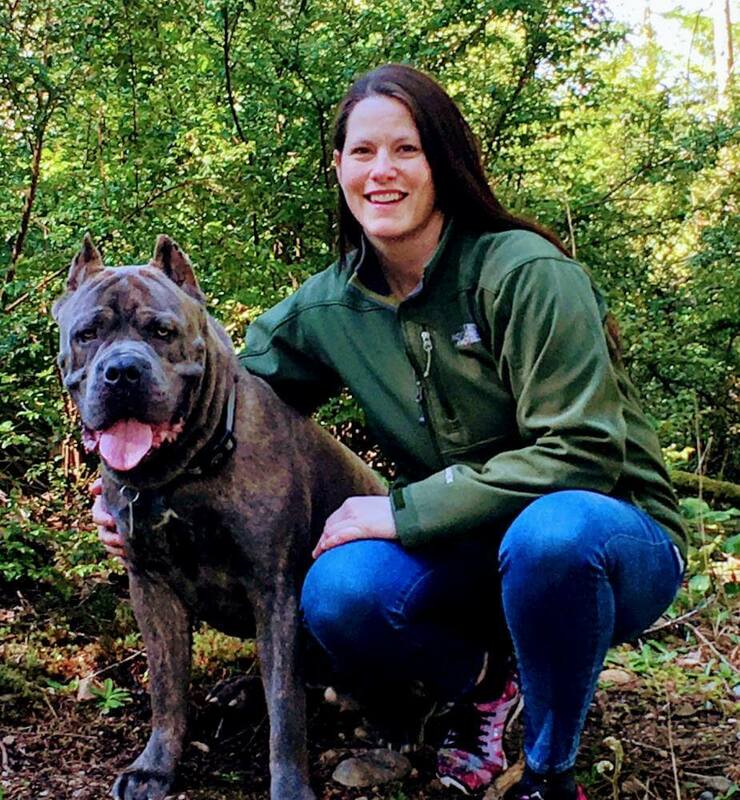 Upon relocating to the Kitsap peninsula she wanted to incorporate her passion for helping animals into more of her life. It was here she began volunteering and was soon hired on with the staff at West Sound Wildlife Shelter. It didn’t take long from there to discover how truly fulfilling work in the veterinary field was for her. She then began working as a kennel assistant with small companion animals, soon moving into veterinary assisting. Jenny is currently completing a 2 year, NAVTA approved, veterinary assisting program for certification in the field. From here she would like to continue her education to become a Licensed Veterinary Technician, and one day hopes to specialize in the field of canine hydrotherapy. In her spare time Jenny enjoys hiking the gorgeous Washington forests and beaches with Watson & friends, visiting art exhibits, seeing some of the amazing live music events the area has to offer, and of course always returning to her painting and drawing. My name is Alixandrea and I joined the PAC family in September of 2018. I have worked with animals my whole life. I grew up in one of the larger goat dairies in Washington state I worked with many animals like goats, sheep, cows, horses, chickens, dogs, cats, rats, tarantulas and many more. In addition to the many jobs at the dairy, I also worked selling goat cheese at Pike’s Place market in Seattle. I have always had a passion for animals but goats will forever hold a special place in my heart. We had over 300 goats at our dairy and I had them all named and loved them all. After getting married at 19 I moved from the goad dairy to beautiful Kitsap County to pursue my dream of being an artist and my husband’s dream of becoming a helicoper pilot. My art company grew quickly and before I knew it I was selling art all over the country and on-line in addition to starting a non-profit art studio in Silverdale to benefit struggling artists. After getting as far as I wanted in my art career I decided to pursue my desire to work with animals. I love being a patient care coordinator at PAC and I hope to study to become a Licensed Veterinary Technician someday. I truly work my dream job and I wear a smile on my face all day long because of it! 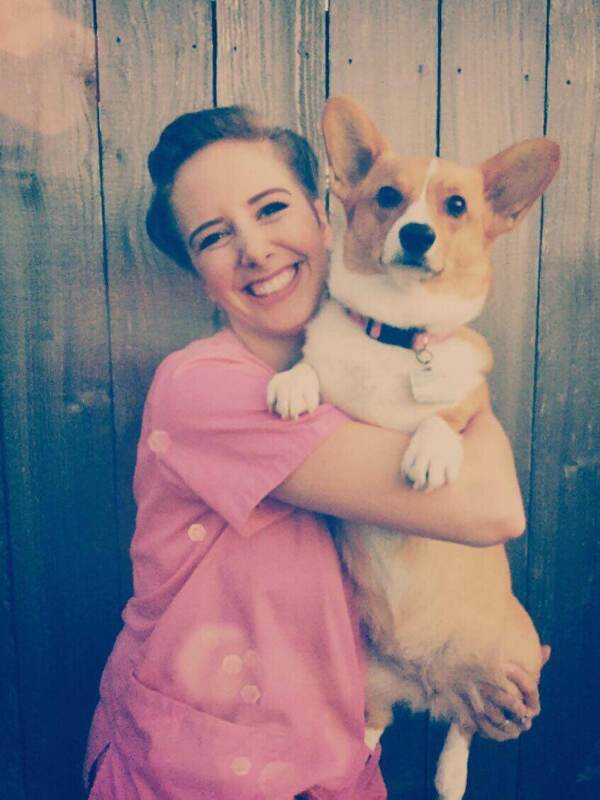 I live with my Corgi Dolly and husband who is a helicopter mechanic in the U.S. Army. I love the color pink and when I am not at work I like to dress in a unique, vintage stye.